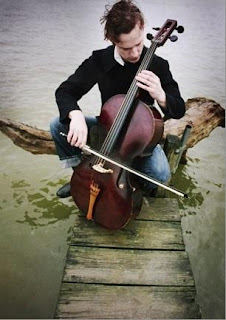 There aren’t too many singer-songwriter-cellists operating in today’s indie world, but then again, there’s very little that’s ordinary about Ben Sollee. A Kentucky boy, Sollee grew up studying classical music but worshipping Lauryn Hill. He played cello in The Sparrow Quartet, a bluegrass-based band with Chinese lyrics. He’s a political activist—not just a pretend one: He teamed with My Morning Jacket’s Yim Yames and folk songwriter Daniel Martin Moore for the Dear Companion project, which was recorded and toured behind in protest of the controversial Appalachian mining practice known as mountaintop removal. Oh, and he’s also known for touring across the country in a freaking superhuman bicycle.